This year's Brit Awards are looking promising for members of the F/H Block family! 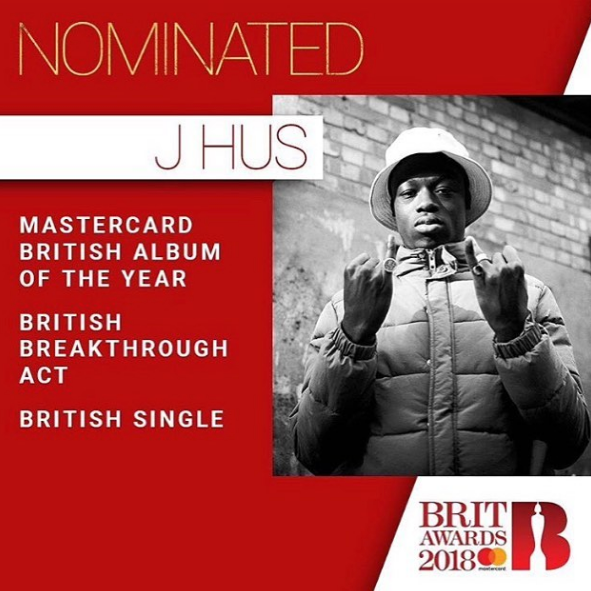 Friend of F/H Block J Hus is nominated for British Breakthrough Act as well as British Single and Album of the Year - featuring work from F/H Block producer Jae5. Congrats to all our Brit Awards nominees - hopefully 2018 will see more nominations and awards being brought home by the F/H Block family.